I'm joking ... I've noticed that since I started my blog that I use my camera (or DSLR as we call it in the biz) lots more (like a lot). So I thought a good idea (aimed at people maybe considering buying a camera for taking pictures, or recording or anything really) would be to blog about it, plus my fans were all emailing me asking me what I use (I joke again, I have no fans). When I first started blogging - Dave was kind enough to lend me his Canon EOS 1000D - which was a godsend at the time as the small camera I had started using was terrible for photos. They were clear but close up shots and shots with depth were terrible. However the only downside to Dave's camera was that it couldn't shoot video - which I wanted to do. Before I met Dave - I was terrible for impulse buying (I still am) I would see something on a YouTube video or on Facebook and instantly think - 'yeah, I could do with that' and go and buy it. This was without researching it or reading reviews or checking out different stores to get it cheaper, or checking cashback websites to see if I could get some cash back from the purchase. 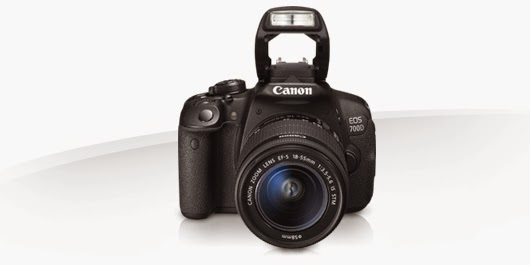 So I spend a good month or so ... researching the best camera to buy - my initial idea of what camera I wanted came from Sprinkle of Glitter's blog as she uses (or did use - I'm not sure how long it is since she updated her blog) a Canon EOS 600D (which is the 2nd model below mine). I liked the look of this camera and it was relatively cheap at the time (between £299 - £350) however what put me off was that there was no auto-focus (not a big issue, but that bothered me) and there was a couple of other things but I can't remember and I'm digressing from the point of this post. 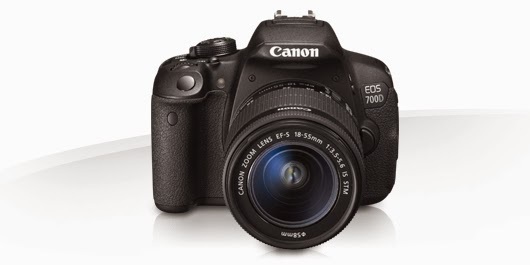 The next model (Canon EOS 650D) from what I gathered in reviews and videos was not much different from the previous model (600D) so I skipped that and started looking at the 700D. 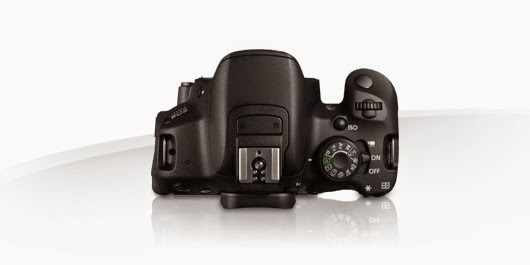 This was the camera for me - autofocus, video capability, creative mode, not too expensive. So that's the 'long' story of how I got my new camera. I've had it for nearly 5 months and it's great hence why I'm doing the review only now as I feel I've used it enough to justify me writing a review about it. 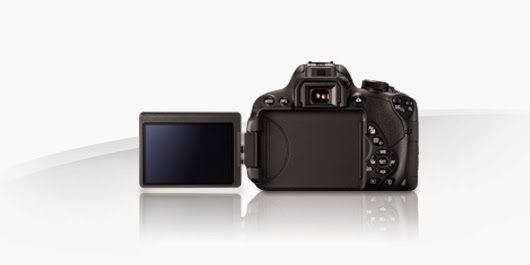 Design/Look - I really like the look of the camera - it is black all over and is very sleek and cool looking. It looks very professional and for the price paid you can see why. Ease of Use - I will be honest. The camera is easy to use but I would be lying if I said I knew how to use every feature of it. I am very much a beginner when it comes to the different settings. I prefer to use the automatic setting and let it do everything for me but I should really play around with it and experiment. Cost - When I bought this it was (get ready for the gasp) £589.99 from Argos. I did find a few retailers online that were cheaper compared to Argos however I wanted to buy the camera from a known retailer and make sure I was getting what I paid for and not some cheap knock-off. Picture/Video Quality - The camera shoots pictures in 18MP which is great. They look crystal clear and I really love taking pictures. With my old camera - I'd snap one picture and that would be it. I now take about 30 or 40 pictures of the one thing I'm doing and then spend forever deciding which is the best - this goes back to me trying different settings to get better pictures, which probably means more to choose from). The video is also great. The videos I've done all seem clear and I have no issues with them ... yet. Sound Quality - I can't really complain about this as apparently from other reviews I've read - it's a common problem with all cameras - but the build-in microphone is terrible! I have noticed if you are standing in front of the camera (very close to it) then it will pick up your voice and it's not too bad, but you can't be always that close if you want to do things in your videos. So I ended up purchasing a external microphone from eBay for £35 - not an expensive one, there are inexpensive and very expensive microphones - they range from around £20 - £250. 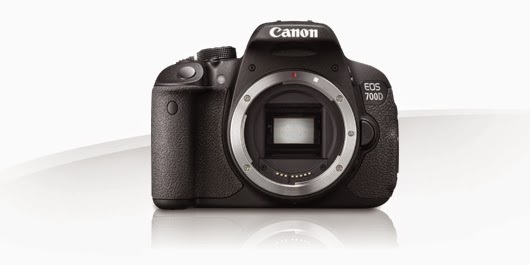 So based on my review - if I had the choice to buy the camera again or recommend it to a first time buyer - I would! It's easy to use, looks great and is well worth the money. That being said - I haven't (as I mentioned above) used all the features so I'm speaking from a beginners view, possibly a more advanced user of DSLR's would have a different opinion. But as I said - make sure and do the research and make sure your happy with what you have decided before making the purchase and everything should be good!